British Prime Minister Theresa May will on Tuesday (29 January) ask her Conservative lawmakers to send a message to Brussels that they would support her Brexit deal if a plan to avoid a hard border in Ireland is replaced. With exactly two months until Britain is due to leave the EU on 29 March, there is no agreement yet in London on how and even whether to leave the world’s biggest trading bloc after May’s plan was rejected by an overwhelming majority in parliament. 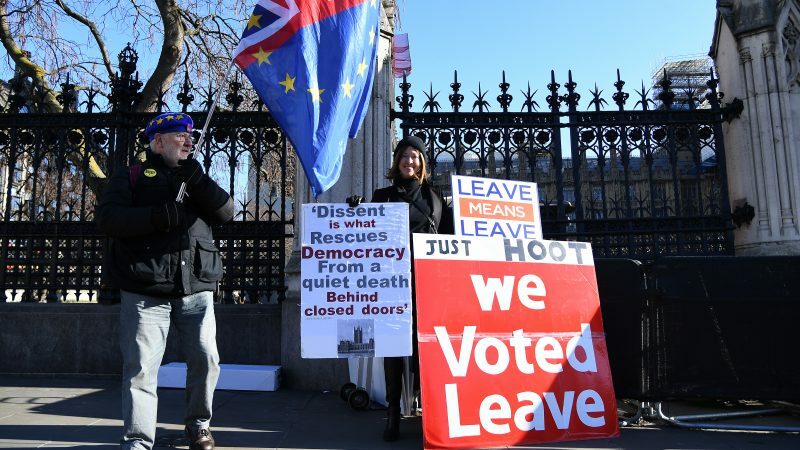 On Tuesday, lawmakers will debate and vote on May’s next steps, with some hoping to gauge the level of support for alternatives to her deal and others even seeking to wrestle control of the process from government. It is not a rerun of the 15 January vote on whether to approve May’s Brexit deal, but a chance to discover what sort of changes would be required to win the support of parliament, so the prime minister can try to renegotiate the agreement in Brussels. At the centre of many pro-Brexit lawmakers’ concerns is the Irish “backstop”, an insurance policy aimed at preventing a hard border between the Republic of Ireland and the British province of Northern Ireland. It would require EU rules to apply in Northern Ireland if no other solutions can be agreed. Senior Conservative lawmaker Graham Brady has put forward a proposal, known as an amendment, calling for the backstop to be removed and replaced with “alternative arrangements”. On Monday, May told a private meeting of Conservative lawmakers that the government wanted them to support Brady’s amendment, if it is chosen by the speaker of the House of Commons to be put to a vote. Strong support for the amendment will allow May to demonstrate to the EU that changes to the backstop could be enough to allow her to get parliamentary approval for a deal. 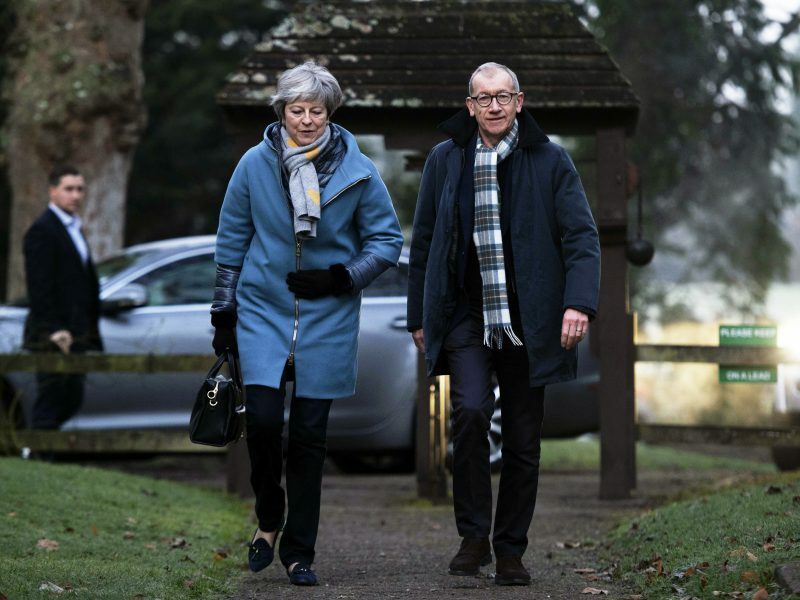 “It allows the PM to give a very clear message about what the parliament wants and where the party is,” Conservative Party Chairman Brandon Lewis said after the meeting. It is not certain to pass, as a group of prominent pro-Brexit Conservative lawmakers have said they do not plan to support it. The small Northern Irish Party which props up May’s minority government but opposes her deal, has not said how it would vote. 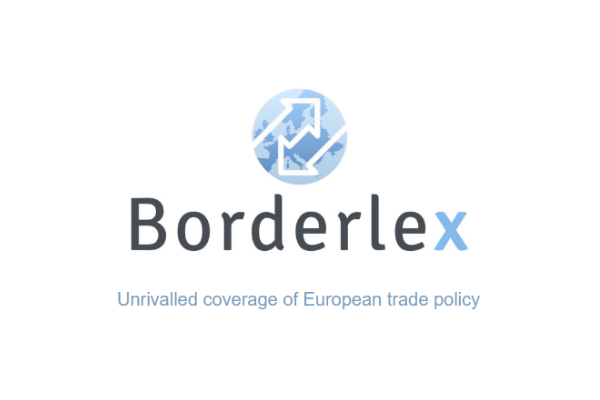 The EU’s deputy chief negotiator Sabine Weyand said on Monday that the bloc was “open to alternative arrangements” on the Irish border but that Brady’s proposal did not spell out what they were. Lawmakers have proposed more than 10 different amendments to be debated on Tuesday but only a small number are likely to be chosen to be voted on. Voting will begin at 1900 GMT. Aside from Brady’s proposal, the other key amendment expected to garner a large amount of support, possibly enough to be approved by parliament, is one put forward by opposition Labour lawmaker Yvette Cooper. Cooper’s amendment seeks to shift control of Brexit from May’s government to parliament and if successful could have a profound effect, giving lawmakers who want to block, delay or renegotiate Brexit a possible legal route to do so. If a subsequent piece of legislation is passed, it would give May until 26 February to get a deal approved by parliament or face a vote on whether to ask the EU to delay Britain’s exit to avoid leaving without a deal on 29 March.